By Xah Lee. Date: 2017-08-08 . Last updated: 2018-11-13 . Quite amazing. HAVIT keyboard with new thin mechanical switches. Ultra-thin and Light, Compact Design, 13.94”* 5”* 0.89”, only 520g, thinner and lighter than traditional mechanical keyboard. Latest Kailh Blue Switch — Low Profile Switches, 11.5mm switch height, 6mm ultra-thin suspended keycap, 3mm key travel creates unique mechanical feel. Unique Ice Blue LED Light, Multiple Backlight Modes, Fn+F1-F5 for Customizing, Fn+F12 for Saving Your Setting, Fn+F6-F11 for Presetting Modes. 1. 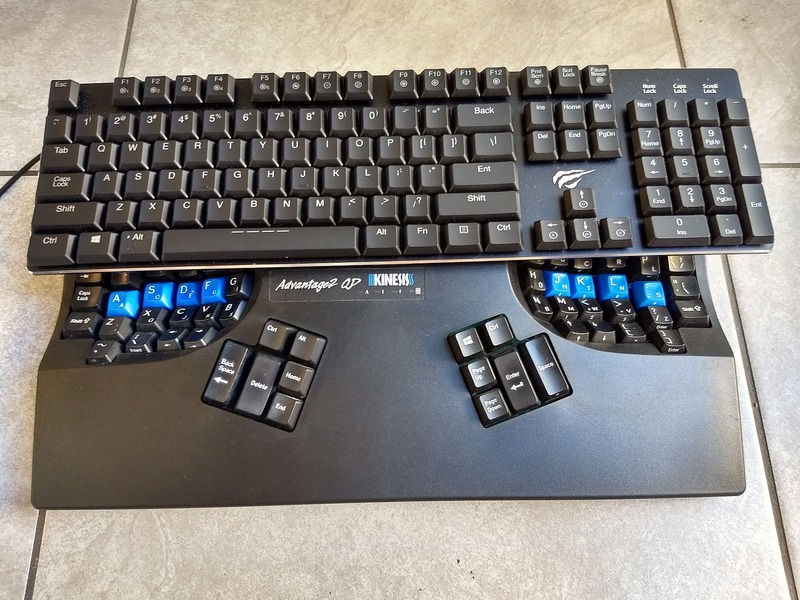 7mm shorter switch height than traditional mechanical keyboard; 6mm ultra-thin suspended keycaps, 3mm key travel and 1.4mm response distance, offers a shorter travel distance, more accurate actuation, delivering precision and lightning speed performance. 2. Unique Ice Blue LED Light,enjoy games and typing at night. 4. User-friendly Design, Driver Free, Plug ＆ Play, with detachable USB to micro cable, convenient and portable. 5. All 87 keys of N-key Rollover, ensure great gaming experience.